Before I took an interest in our local hawks, I didn't know much about birds. While watching the hawks in Tompkins Square, I couldn't help but notice all the other birds who pass through during spring and fall migration. As I'm still a novice, I'm learning as I go. When I see a new bird I don't recognize, I go home and read up on it, so there's something new to learn almost every day. And there are so many cool birds! 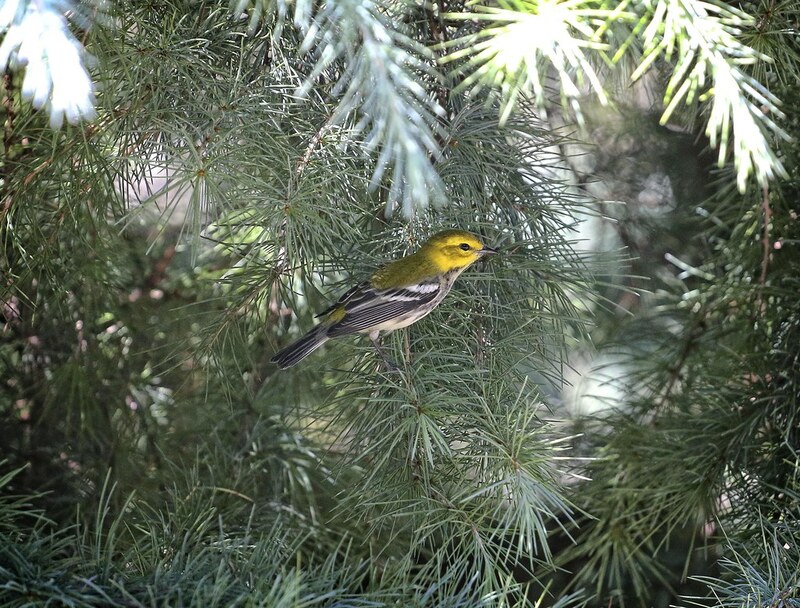 For instance, here is a Black-throated Green Warbler. 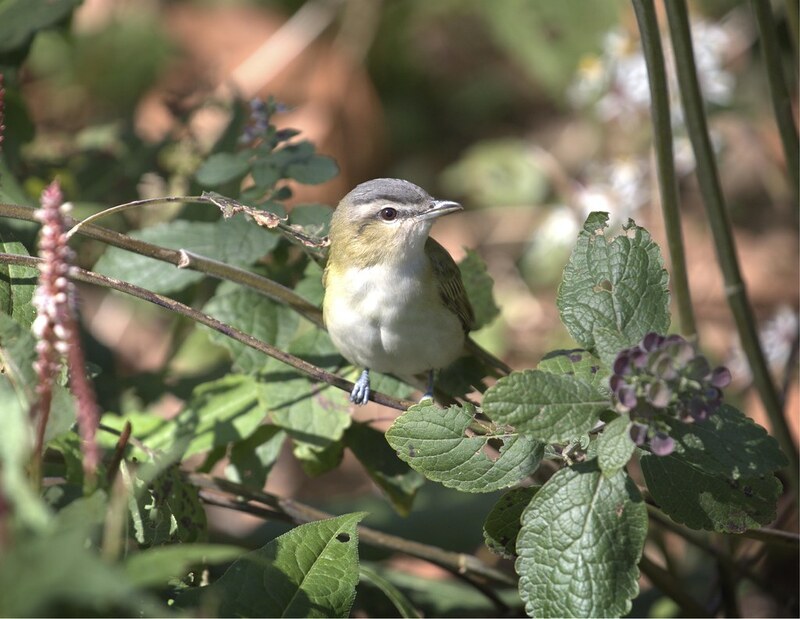 They are supposedly one of the most common warblers to be seen during migration, yet I'd never seen one before this week. Thanks to the hawks, a whole new wild world has opened up for me, and I've really been enjoying the educational treasure hunt of seeking out and identifying as many birds as I can right here in the city. I love that, in this extremely urban environment, Nature still exists. This bright yellow bird is on its way to Mexico or Central America. How nice of it to take a rest stop in Tompkins. 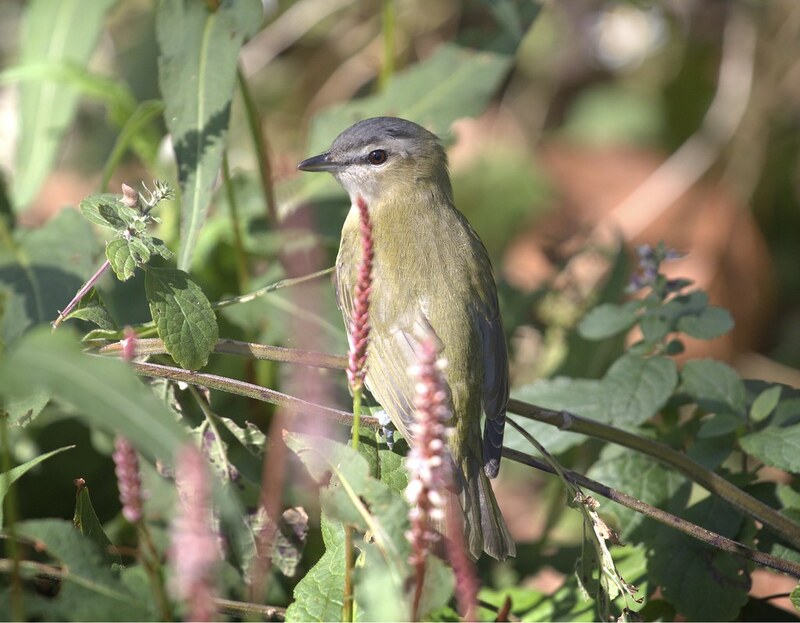 Meanwhile, this week down in Battery Park, I came across this Red-eyed Vireo. It's tiny, and I might not have noticed it if I hadn't been looking as it appears kind of drab and blends in with the vegetation. Up close, though, it's rather colorful and does have reddish brown eyes. 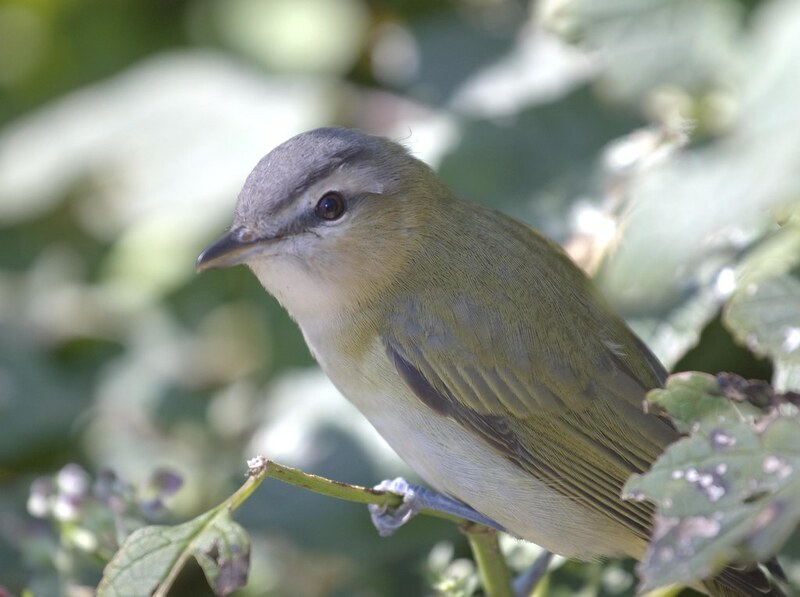 On May 27, 1952, Louise de Kiriline Lawrence counted the number of songs sung by a single Red-eyed Vireo seeking a mate on his territory 180 miles north of Toronto. He sang 22,197 songs in the 14 hours from just before dawn to evening, singing for 10 of those hours. Wow! You can hear some of the vireo's songs here. And check out its little blue feet! 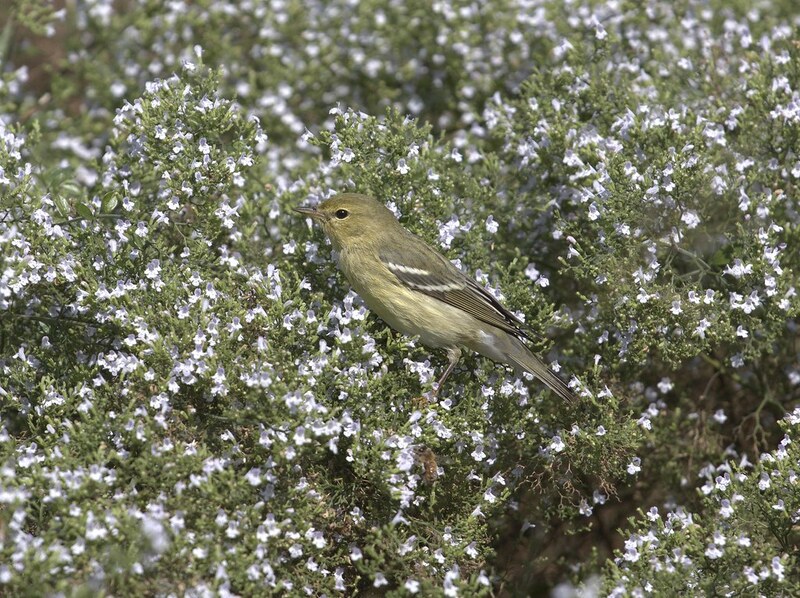 Also in Battery Park, this Blackpoll Warbler paid me a visit. 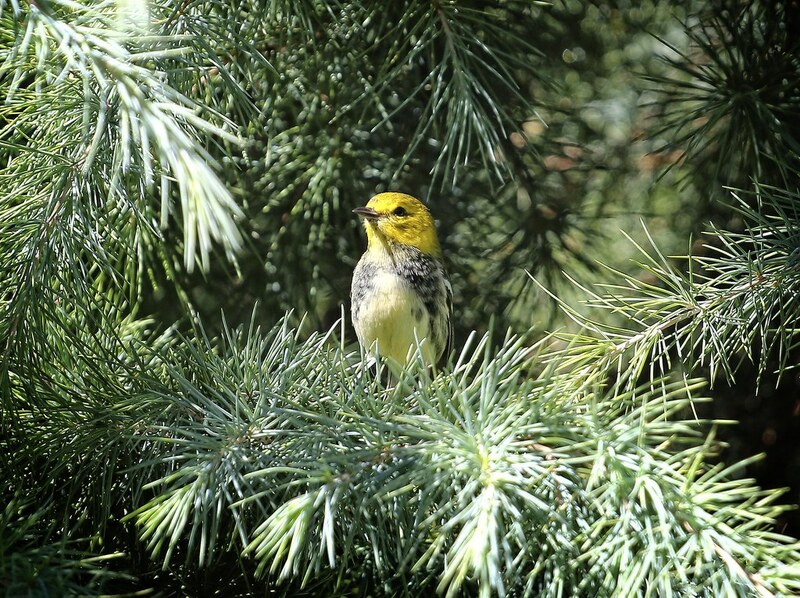 This bird is a good example of one whose plumage changes color with the season. This is something I'm only recently learning about and it makes identifying birds in spring and fall challenging. 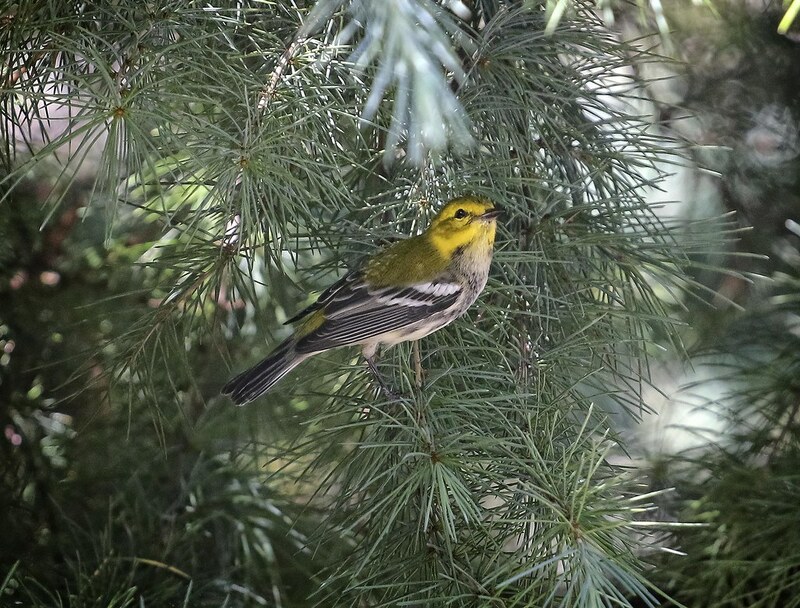 Part of the fall migratory route of the Blackpoll Warbler is over the Atlantic Ocean from the northeastern United States to Puerto Rico, the Lesser Antilles, or northern South America. This route averages 3,000 km (1,864 mi) over water, requiring a potentially nonstop flight of up to 88 hours. 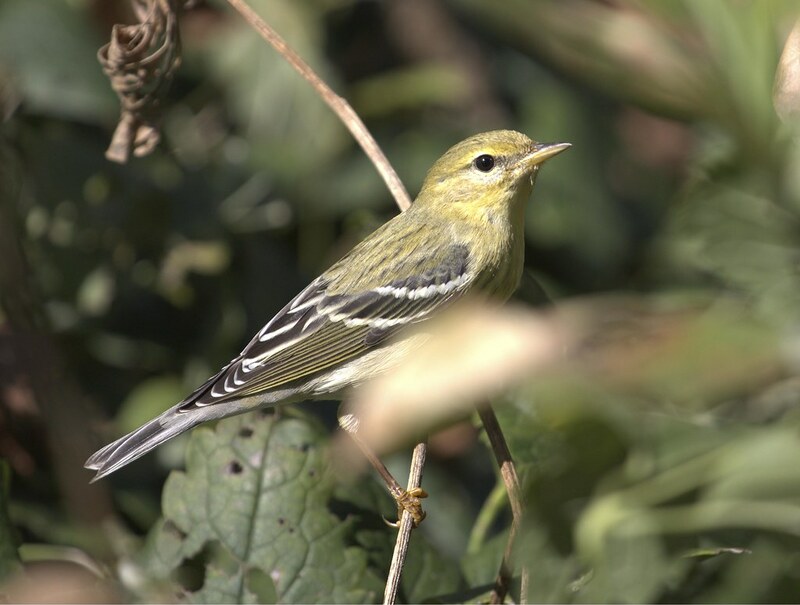 To accomplish this flight, the Blackpoll Warbler nearly doubles its body mass and takes advantage of a shift in prevailing wind direction to direct it to its destination. I hope it found plenty of good things to eat during its visit to NYC! After reading up on this remarkable traveler, I was dismayed to see the Blackpoll listed on the latest list of common birds in steep decline. According to the report, these are common birds who have "lost more than half their global population over the past four decades." 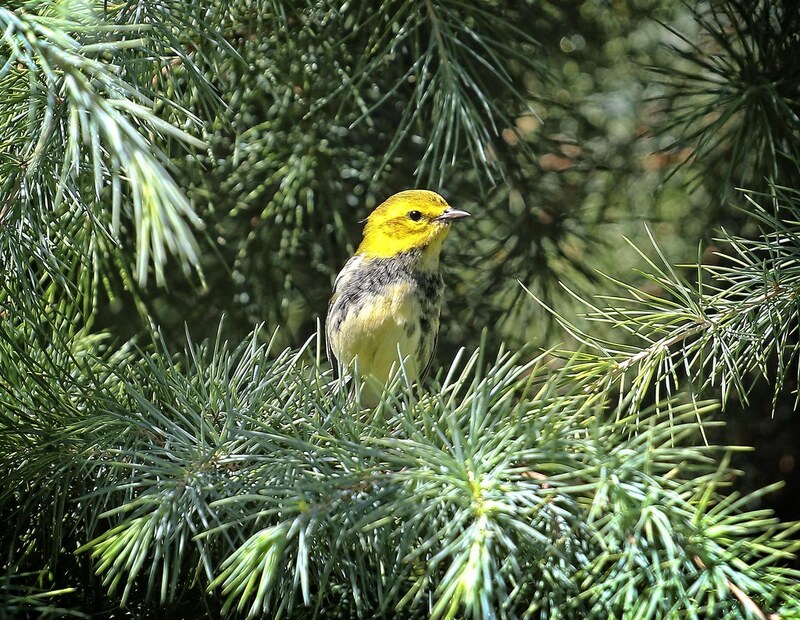 This article is from 2001, but it explains the Blackpoll's preference to nest in spruce trees, which are also decreasing in number. 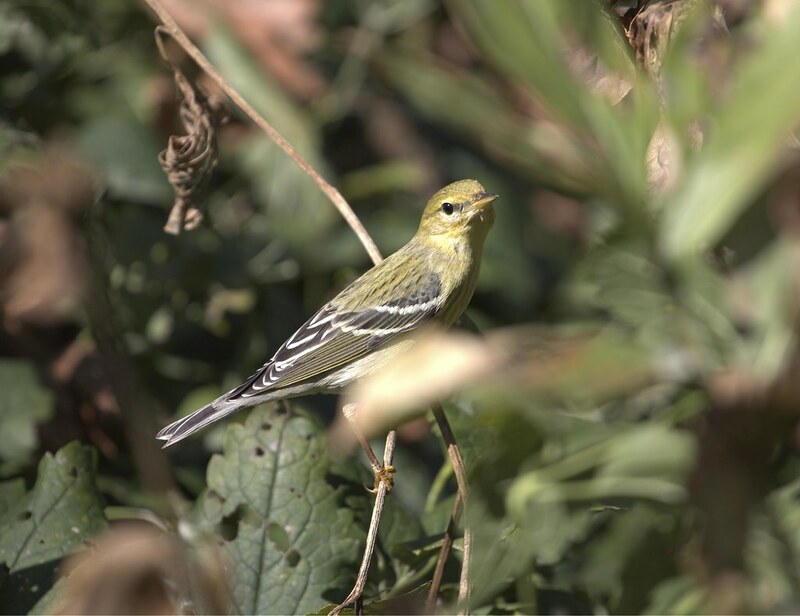 You can read the full State of the Birds report here, and learn more about the North American Bird Conservation Initiative here.